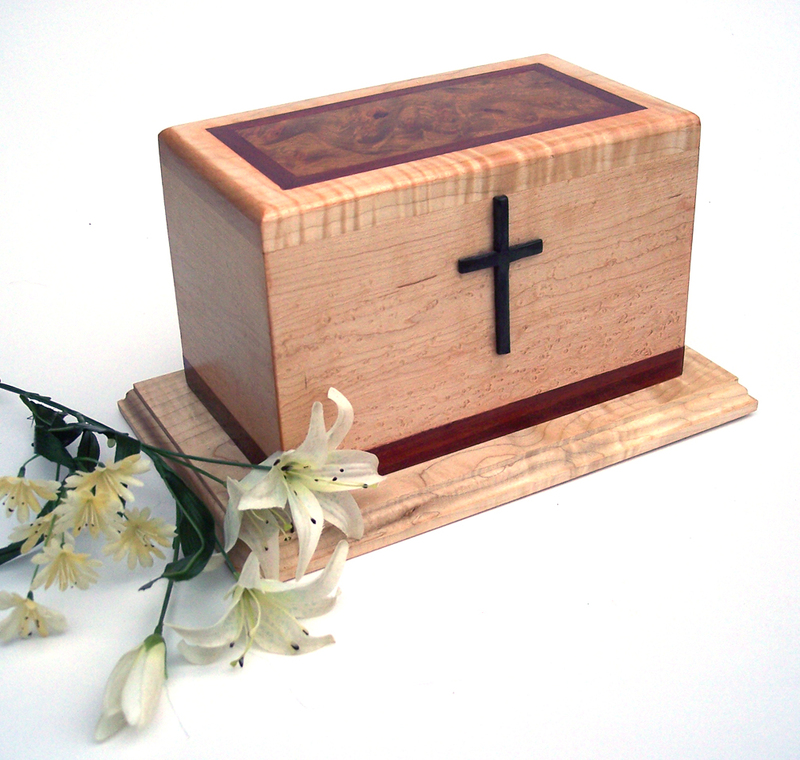 Constructed using traditional wordworking techniques, this wooden cremation urn design is at once both classic and contemporary. This wood cremation urn brings together woods from around the world, including birdseye maple with paduak accents and an amboyna burl top. The cross is made of ebony. The result is an exceptional work of craftsmanship that provides a dignified and beautiful memorial. Finished in two coats of shellac and hand-rubbed with 3 coats of Briwax, this urn opens from the bottom where it seals securely with screws. Note: the exact size of the urn is dependent upon the size of the person (and thus cremains) this is intended for. When ordering, I will contact you regarding these specifics. If you wish not to have a cross on the urn, another symbol (within reason) can be substituted if desired. Materials: Birds-eye maple; paduak; amboyna burl; ebony.